​There have been a few feel-good stories in the NBA this season, but likely none have had greater impact than the return of ​Derrick Rose and the emergence of ​Luka Doncic. Both of these stories are being reflected early on in this year's ​All-Star voting, as the pair rank among the highest vote-getters in the Western Conference. Rose has placed in second among Western Conference guards with an impressive 698,086 votes, trailing only Steph Curry. ​Doncic, on the other hand, has 679,839 votes and is in second place among forwards, coming in behind LeBron James. Both of these players have taken the league by storm this year, as Derrick Rose is looking more like the player who won the MVP award in 2011. Doncic, on the other hand, is arguably the most exciting rookie to enter the league in recent years, and the fact that he hails from Europe makes him even more intriguing. Rose is averaging 18.9 points and 4.8 assists per game this season, and is hitting an eye-opening 46.2 percent of his three-point attempts, of which he takes 3.3 per game. He's been extremely effective on the offensive end this season and is reestablishing himself as a top tier player in the league. 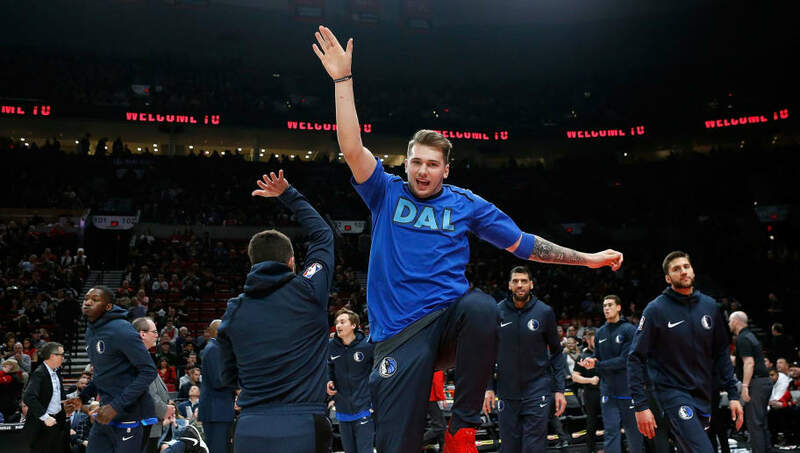 Doncic is the new blood, on the other hand, and he's made many big shots while already establishing himself as the leader of the Dallas Mavericks despite being just 19 years old. He's averaging 19.5 points, 6.6 rebounds and 5.0 assists per game while knocking down the three-ball at a 37.6 percent clip. He's been extremely exciting to watch, and these two players are both becoming fan-favorites across the league. That is being represented in the insane amount of All-Star votes they have received.